Inspiration! Roundup: Control, the best survey ever, embroidered photos, and more! 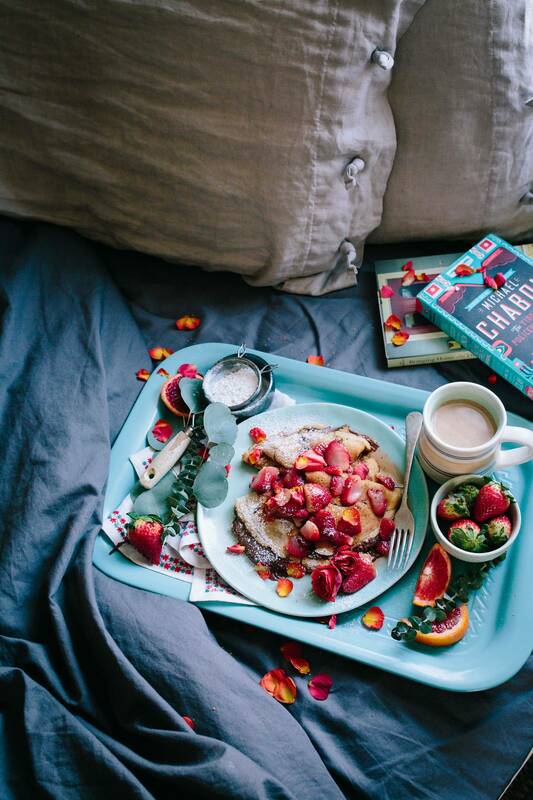 Breakfast and books in bed! Yummmmmm! Last week, I shared a "locus of control" exercise that reminds us what we do and don't have control over. Here's another perspective on the same thing: a list of things you can control, edited and bolded for what I think is most important! Your beliefs. Your attitude. Your thoughts. Your perspective. How honest you are. What books you read. How often you exercise. What food you eat. How many risks you take. How you interpret a situation. How kind you are to others. How kind you are to yourself. How often you say "I love you." How often you say "thank you." Whether or not you ask for help. The amount of effort you put forward. How often you think about yourself. Whether or not you judge others. Whether or not you try again after failing. A grade 2 teacher named Mrs. Porter is teaching a unit on surveys to her class, and together they created what has got to be the best online survey of all time. Go forth, help children learn, and embrace the joy of a survey that was created just for fun! Love this art by Julia Cockburn, embroidering over the surfaces of vintage photos. This is a long quote, but it is SO WORTH IT. "I was going to die, sooner or later, whether or not I had even spoken myself. My silences had not protected me. Your silences will not protect you.... What are the words you do not yet have? What are the tyrannies you swallow day by day and attempt to make your own, until you will sicken and die of them, still in silence? We have been socialized to respect fear more than our own need for language. I began to ask each time: 'What's the worst that could happen to me if I tell this truth?' Unlike women in other countries, our breaking silence is unlikely to have us jailed, 'disappeared' or run off the road at night. Our speaking out will irritate some people, get us called bitchy or hypersensitive and disrupt some dinner parties. And then our speaking out will permit other women to speak, until laws are changed and lives are saved and the world is altered forever. Next time, ask: 'What's the worst that will happen?' Then push yourself a little further than you dare. Once you start to speak, people will yell at you. They will interrupt you, put you down and suggest it's personal. And the world won't end. This art installation that repairs sidewalks using gold reminds me of the Leonard Cohen quote, "there is a crack in everything, that's how the light gets in." Alex Kuno's postcard artwork is so lovely!